The President expressed confidence that the entire legal fraternity will resolve not to seek adjournments except in absolutely unavoidable circumstances. President Ram Nath Kovind exhorted lawyers not to seek adjournments citing the huge backlog of pending cases in various courts of the country. Addressing the day-long national conference on ‘Technology, Training, and Infrastructure: Keys to Speedy Justice’ and ‘The Changing Face of Legal Education in India’ organised by the Supreme Court Advocate-on-Record Association on Saturday, the President said one of the major reasons behind the delays is the “culture of seeking adjournments”. “There are many reasons for such delays. There are infrastructure gaps and considerable vacancies, particularly in subordinate courts. There is a culture of seeking adjournments as a norm rather than an exception. Judiciary is making efforts to curb this practice,” he said. 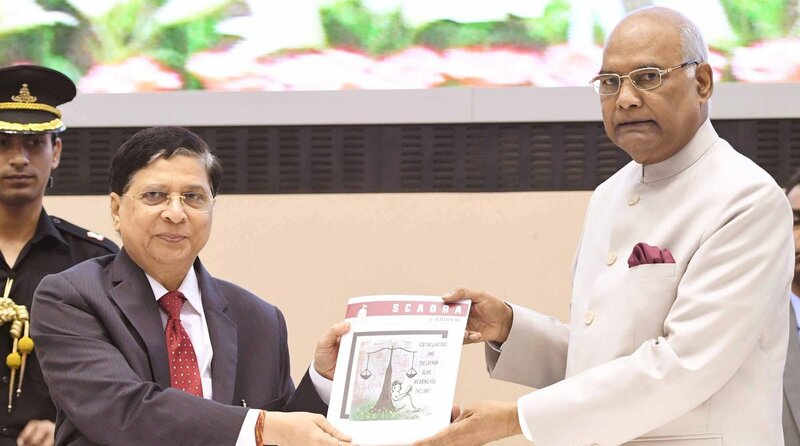 Pointing out that the “judges are over burdened with sheer volume of cases” and as a “consequence, the Indian legal system is marked by long delays”, Kovind referred to the steps taken by the government to reduce the backlog of cases including the merger of tribunals. “Several remedial measures have been taken. Govt has enhanced threshold for filing appeals in tax disputes in tribunals and courts. In Supreme Court, the threshold has gone up from Rs 25 lakh to Rs 1 crore. Govt has also decided to withdraw many pending appeals,” he said. He also said that technology could be a great enabler of a speedy justice delivery system. “Technology can be a great enabler of justice. A start was made in 2016 with the opening of India’s first e-court in the High Court of Hyderabad. Since then, the idea of e-courts has spread elsewhere,” he said. “Innovations such as evening courts and family courts, and the concerted effort made in delivery of speedy, fast-track judgements in cases of sexual crimes against women, are also noteworthy,” the President added.